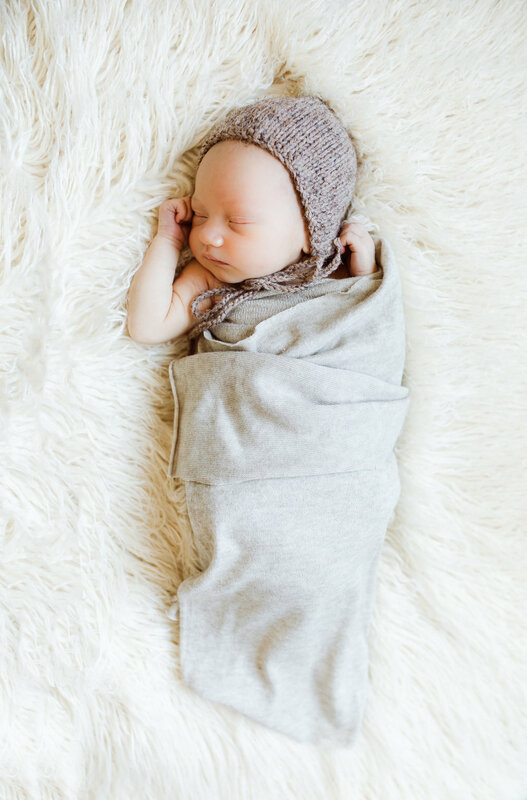 I love in-home newborn photo sessions! As a photographer who aims to capture authentic connection between parents and their children, there is nothing better! These sessions allow me to enter into the sacred space of your home and preserve some of the most fleeting and beautiful memories of your lives. 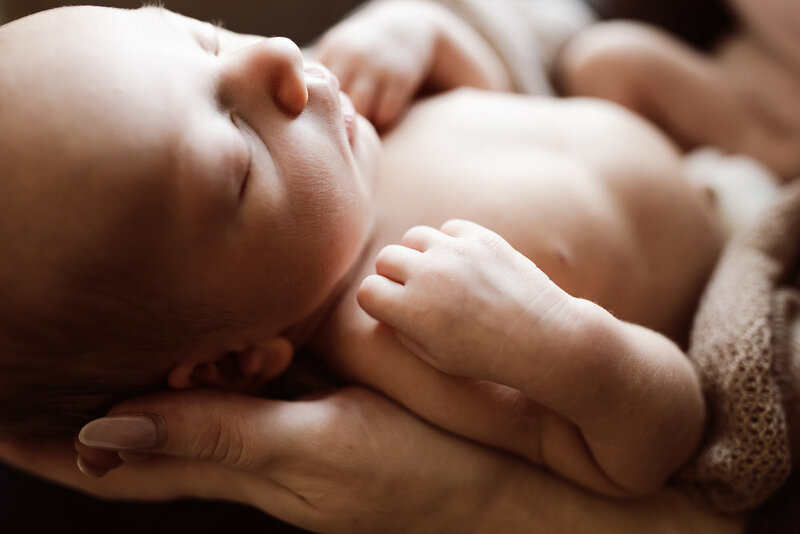 Memories that are so easy to forget like baby’s wrinkly, flaky skinned toes, that little stump of umbilical cord (yes, you want to remember that too! ), those first little glimpses up into your eyes, the smell of baby’s head after their first bath, their incredible smallness which seems to change right before your eyes, the warmth of just rocking them to sleep during a time when nothing else matters in your house except for caring for and staring at this new, magical little person! Yes, all of these things are so precious and in the midst of our busy lives, so easy to forget months, and years down the road. 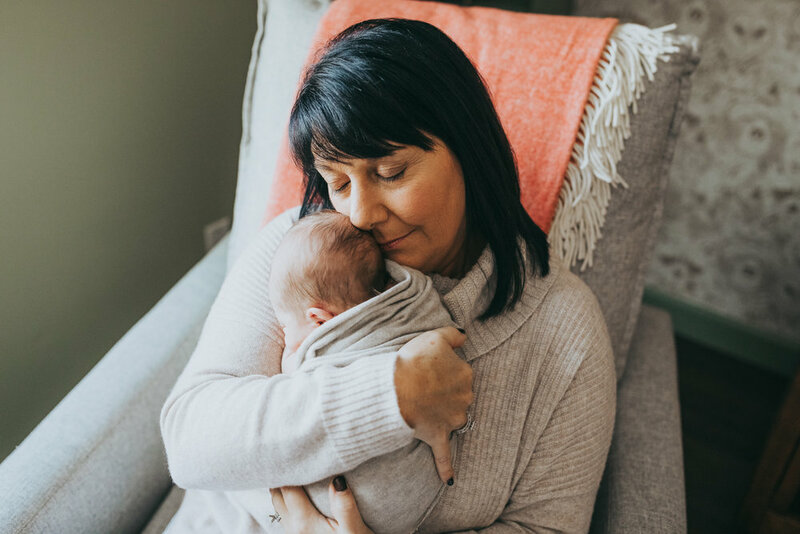 Your kids are going to ask you questions some day like “mom what was it like when I first got home?” “What did you and daddy look like when I was little?” Kids love to see images of mom and dad, and even more so, images of mom and dad loving on them as a baby. 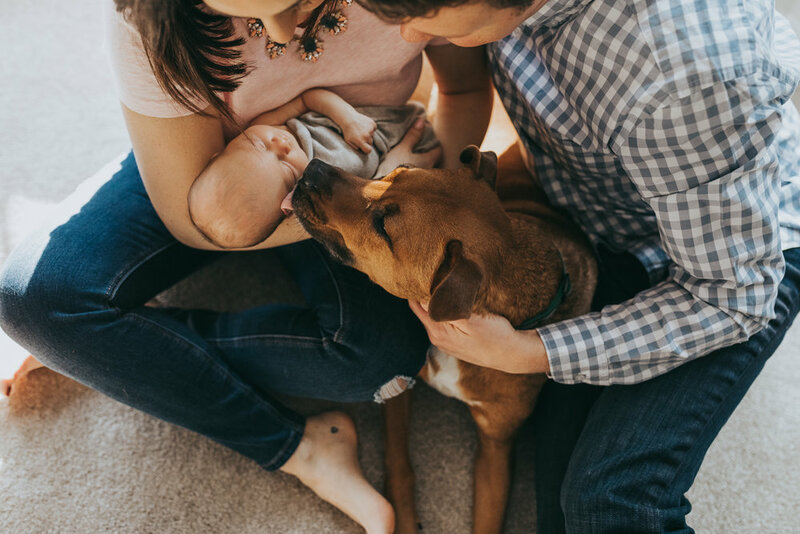 This is why every one of my newborn sessions includes images of you and everyone else in your family - even the furry ones! I also offer a complimentary Maternity Session as part of your purchase. 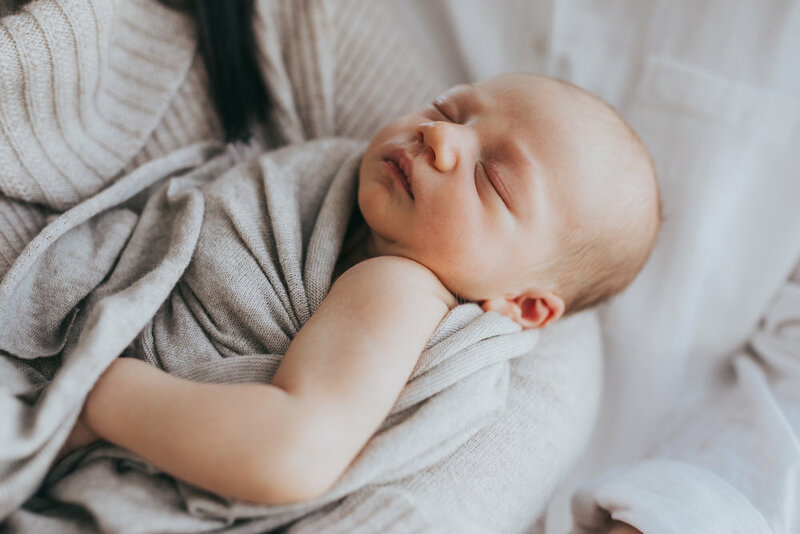 In-home session are also wonderful because they not only eliminate the stress of taking baby to a studio at the most exhausting period in your life, but they actually allow for a peaceful and relaxing experience for mom, dad, siblings and baby! I provide each family with a plan to help them easily prepare for the day. I bring beautiful wraps, bonnets, and baskets if they wish to use these (essentially a little studio brought to you), but most importantly we approach the session as just a part of your normal day and baby runs the show! If baby needs to eat, we take a break. If baby needs to be changed, no problem. Then we take images of you cuddling and talking to your little one and just relaxing in the beauty of your home. There are so many amazing image that emerge. This last session was so incredible! Not only was he the most calm and beautiful baby, but you could just feel the love from mom, dad, both grandmas, and even the dog! 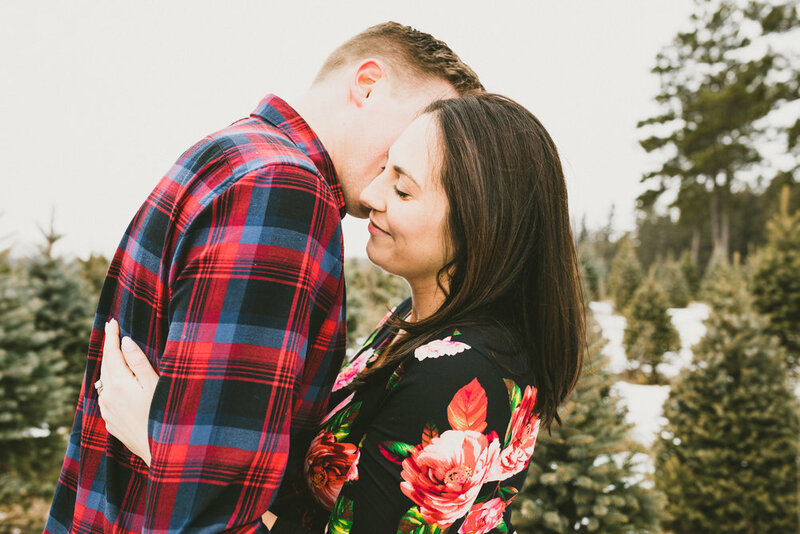 I had the privilege of being a small part of their journey from weeks before the birth for a chilly maternity session at Hansen Tree Farm to a week after he came home. I am truly grateful for this. It is a chance to capture a family’s story as they begin a new chapter in their lives. This is such a precious gift that will bless them for years to come!